The black color background provides the class of this menu board. The multi-colors and graphics further accentuate the menu. On a digital menu board this template will be a steal ! 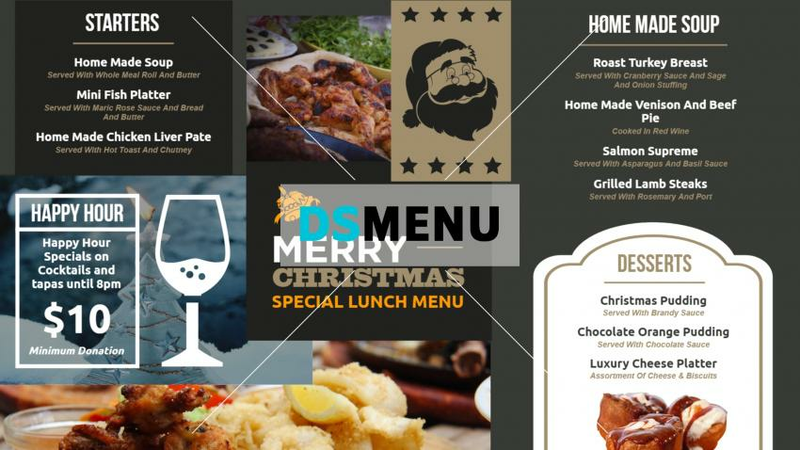 The happy hours and the Christmas lunch menu are well highlighted. This template provides a model for your actual menu board, and is ready for use and download.